So, Where Is Cape Cod? 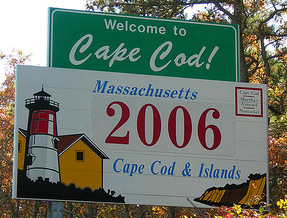 This page should get your planning started with great Cape Cod vacation information. 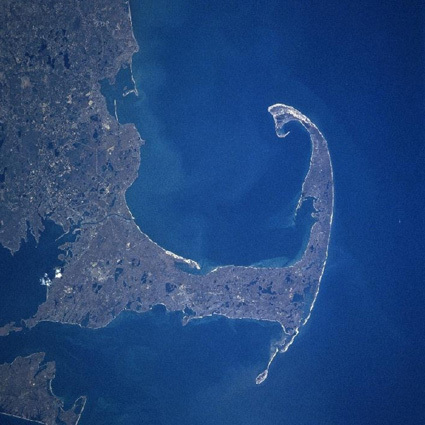 Cape Cod is on the northeast coast of the United States, in Massachusetts. It is a sandy peninsula built mostly during the ice age and juts into the Atlantic ocean like a crooked arm. Cape Cod is a unique landscape, sculpted by time. On every visit, I can see changes in the land due to erosion from sea and wind. A word about driving on Cape Cod. If at all possible, DO NOT head out on your Cape Cod vacation on a Friday. The traffic is horrendous. Instead, travel on Thursday or any other day. Also, try not to leave to come back on a Saturday/Sunday when traffic is also really heavy. A lot of the cottage and house rentals are one week, from Saturday to Saturday. One time we headed down on a Friday afternoon in July (another mistake) and we were literally at a crawl once we were 20 minutes outside Boston. Get a week rental and extend your trip by a few days to give yourself a buffer from the traffic. You might have to stay at a second hotel/motel for the extra days but it is worth it. If you are coming via the Boston area, take highway 3 from the 93 and follow until you cross the Sagamore Bridge onto the Cape. If you are coming from west of Boston, Connecticut or New York, then you will be approaching from either Highway 495 or 195. You then can hop on the 25 around Wareham and follow that until you cross onto the Cape using the Bourne Bridge.This bridge is further south than the Sagamore and it is used when you are traveling to parts of the Cape like Falmouth and Woods Hole. This might be a good time to discuss "rotaries". Unless you have been to Europe, you probably have not had the stress inducing experience of driving in one of these. Most places that have Cape Cod vacation information never even mention them (not sure why). There are a few on the Cape and the first time we encountered one (years back), we were "stuck" in this thing, helplessly driving in circles. Just take a deep breath and enter slowly. Then, try to spot which exit you are trying to get to and plan your lane changes. 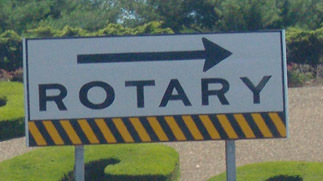 Drivers in the rotary have the right of way. It really helps if you know ahead of time which exit road to take so make sure you have all your vacation info handy. Don't slow down. Instead, keep pace with the traffic, even if it means doing another lap around. By the way, our family calls these "rotisseries." If you cross the Cape Cod canal at the Sagamore Bridge, you basically take Highway 6 which goes to the end of Cape Cod, at Provincetown. Or, if you prefer, you can take 6A which is a more scenic route. If your destination is further down Cape Cod, then route 6A is best left for another time. It is VERY heavily congested even at the best of times. If you have time during your trip, it is worth taking a day to drive it to see the beautiful towns like Sandwich, Dennis and Brewster. Your Cape Cod vacation is not complete unless you visit these little gems along 6A. If you are coming over at the Bourne Bridge, you probably will be traveling on route 28. This may be a confusing time for you. Directional signs on Route 28 on Cape Cod are continuously marked as North-South, which is confusing for unfamiliar drivers. When you are traveling on Route 28, southbound is actually going northeast from Falmouth to Mashpee, east from Mashpee to Chatham, and north from Chatham to the Orleans-Eastham border. Also, where Route 39 hits Route 28 in South Orleans, the directions on Route 28 are not mentioned, since otherwise a driver heading north on 39 North and wishing to continue north into Orleans Center might inadvertently follow 28 North south to Chatham. A useful piece of Cape Cod vacation information to remember. Follow this link for a more detailed map of Cape Cod towns. Be VERY aware of your speed while on Cape Cod. On Highway 6, it varies depending on the area. Police are EVERYWHERE and they WILL NOT give warnings. Expect a heavy fine. Nothing ruins a nice vacation on the Cape like a speeding ticket. With one main artery along the Cape, can you imagine what happens when an accident occurs? To Go On Your Cape Cod Vacation? From the day after Labor Day through till early June, prices for lodging are cut in half. We always take our longest "summer trip", starting Labor Day week. This way, we reduce our costs by 50%. This is a great piece of Cape Cod vacation information that can save you tons of money. The best part is that the beaches and roads are crowd free at this time. The ocean temperature is actually warmer in September as well. More and more tourists however, seem to be catching on to this fact. Before your trip to Cape Cod you may want to visit the Boston slang page to learn how to polish your Boston accent and blend in with the locals. I also have a page specifically about Cape Cod weather so you can be properly prepared with the correct Cape Cod vacation information.